There is a new name at the top of Aviva – and it’s a familiar face who is taking on the CEO role. 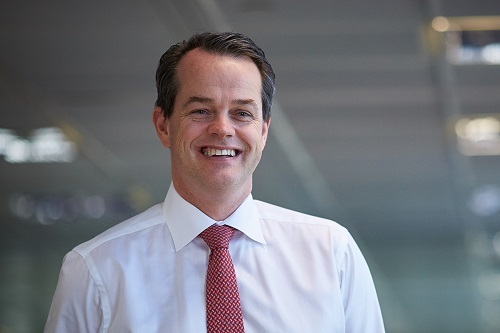 Maurice Tulloch (pictured), who first joined the firm back in 1992, has been named as the group’s new CEO as of today (March 04), assuming the role vacated by Mark Wilson late last year. Previously the CEO of international insurance for the firm, Tulloch had responsibility for Aviva’s life and general insurance operations in Canada, France, Italy, Poland, India, Turkey and Ireland. He was also previously the CEO of Aviva UK and Ireland general insurance. “I am honoured to lead Aviva, a firm I’ve been part of for 26 years,” he said. “There is a clear opportunity to realise Aviva’s significant but untapped potential. Aviva is financially strong, we have a well-known brand and excellent businesses. But there is more to do to improve returns to shareholders. Tulloch – who considers his nationality to be both British and Canadian – was born in Falkirk, Scotland, and has held a host of roles in the firm including as president and CEO of Aviva Canada, and, prior to that, executive vice-president and COO of Aviva Ontario. Now in his new role he is expected to pick up a basic annual salary of £975,000 (around CA$1.7 million) and will be eligible for a pro-rated annual bonus opportunity that will pay up a maximum of 200% of salary for his time in the role of CEO, and “will be required to defer two thirds of any award made into Aviva stock which will vest into three equal tranches over three years.” He will also be eligible to receive the grant of an award under Aviva’s long-term incentive plan for 2019. A company statement revealed that Tulloch currently owns 348,797 shares in Aviva plc and will be required to build a shareholding to the value of 300% of his basic salary. He will also receive the standard Aviva executive benefits package and that will include assistance with relocation from Canada to the UK.